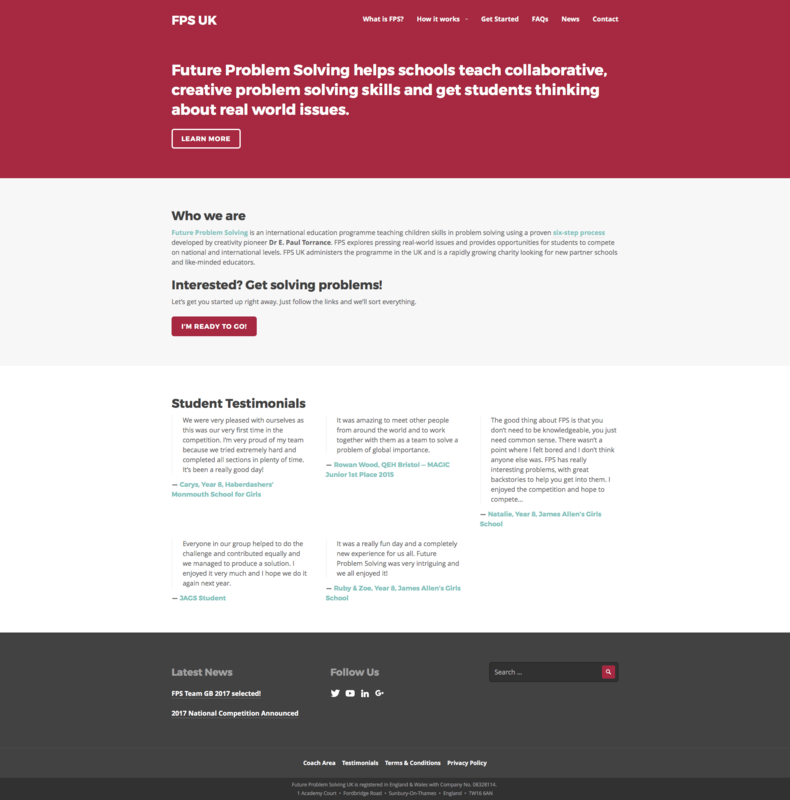 I was responsible for managing the web presence of Future Problem Solving UK including the website (WordPress) and social media. I designed a new visual identity including logo, style guide, sponsor t-shirts, printed materials and templates for Microsoft Office. The site is accessible through the Internet Archive.